I took a perception class in college thinking that understanding how people saw things could be useful in architecture. The class turned out to be a lot about how the eye sees things and had lots of experiments like learning that if you look at a red sheet of paper for a minute and then look away, you will see green. So it was not as immediately useful as I had hoped. However, I have spent the last 30 years of practice observing and listening to people’s perceptions as they interact with the built environment, purchase and use houses and rent apartments. I have distilled these observations into the following concepts that we use in our practice every day designing projects. By consciously considering these ideas, understanding their application and learning from their implementation, you can enhance the design with very little cost impact while creating value. For a given square footage of materials, the composition and relationship of the elements is free. Many tight-budgeted projects suffer from windows that are too small, roof pitches that are too shallow, and poor detail and trim choices. A good architect gets these things right. Even with inexpensive materials, good proportions create harmony. One only needs to study early colonial architecture built with the materials that were available in pre-1800 America. Good proportions make pleasing buildings, and people value what they like and perceive to be beautiful. 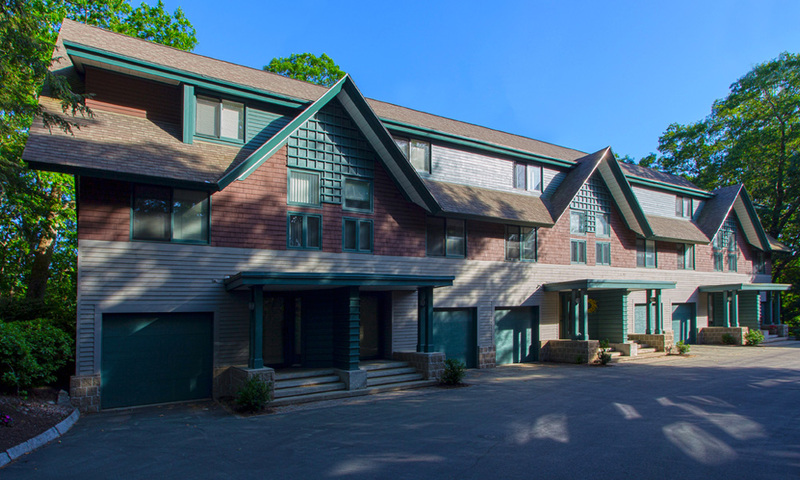 A six-unit residential building on a former estate was designed to look like a carriage house. 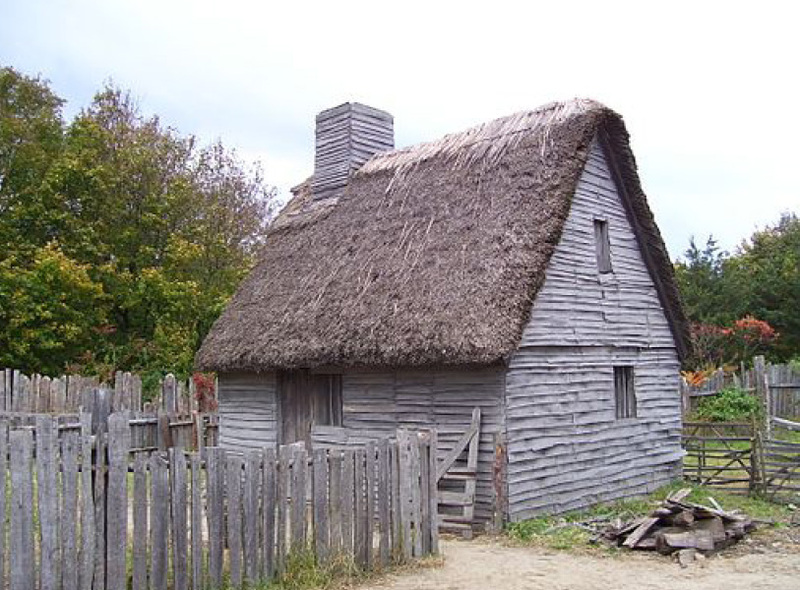 With the goal of shelter as soon as possible, this house at Plimoth Plantation was built with what the early settlers could find and was still crafted with good proportions. Sometimes a material will be expensive relative to other options in its primary application, but inexpensive when used in a different one. At Loft 23, copper would have been an expensive roof, but it was a cheap wall. At the time it was $3/face square foot cheaper than a brick cavity wall which was the standard “go-to” material for urban housing projects. We have also had success using slate roofing shingles as wall cladding. Slate, at $800-$1,000 per square on the roof costs much more than asphalt shingles or a rubber roof. But as a wall material at $8-$10 per square foot, it is competitive with many less expensive looking materials. 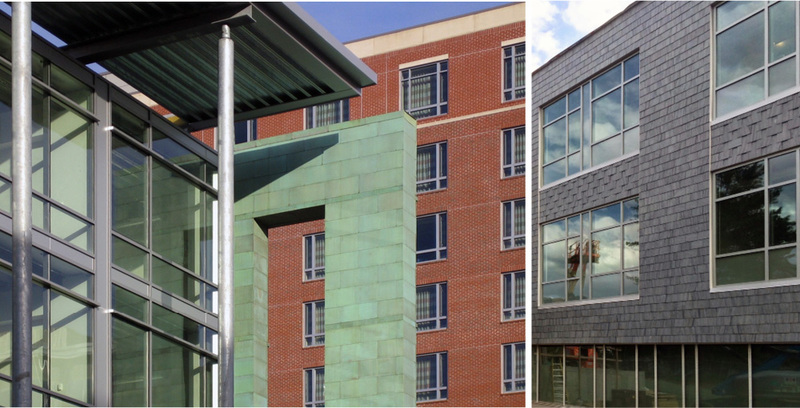 Here the perception that slate and copper are expensive materials belies the reality of their use on the wall and creates value in the eyes of buyers or renters. Left: Copper siding less expensive than brick. Right: Slate roofing shingles as wall cladding. When you compare a “Monopoly house” to a house of cards, the “Monopoly house” is like a shingle style house with the same material stretched over all its surfaces, like a wrapped package. Conversely, the house with cards leaned against each other with their thin edges exposed, appears to be less substantial. In the story of The Three Little Pigs from childhood, it was the volumetric brick house that withstood the all the huffing and puffing of the big bad wolf. This perception is ingrained in most people’s minds when they are kids. A house can have the corner boards painted to match the siding or in a contrasting color expressing the edges. Which one feels more substantial? Which one thinner? You can use this technique when faced with using inexpensive materials. The newer fiber cement siding products are able to be mitered around corners, giving the building a volumetric expression. It would be entirely different look with corner boards. 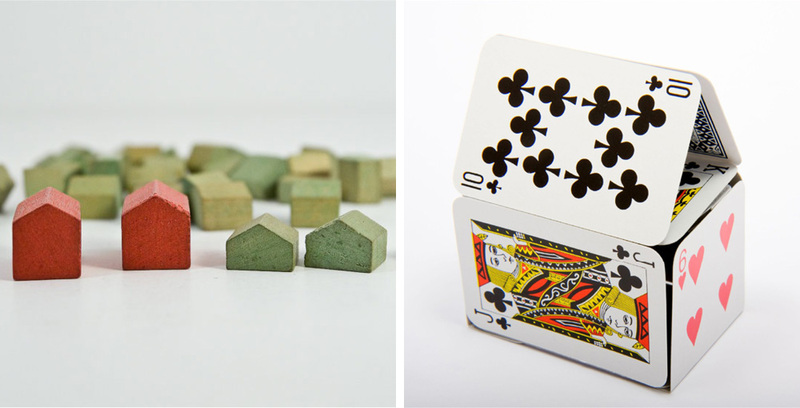 Left: Volumetric “Monopoly house”. Right: “House of Cards” with exposed edges. 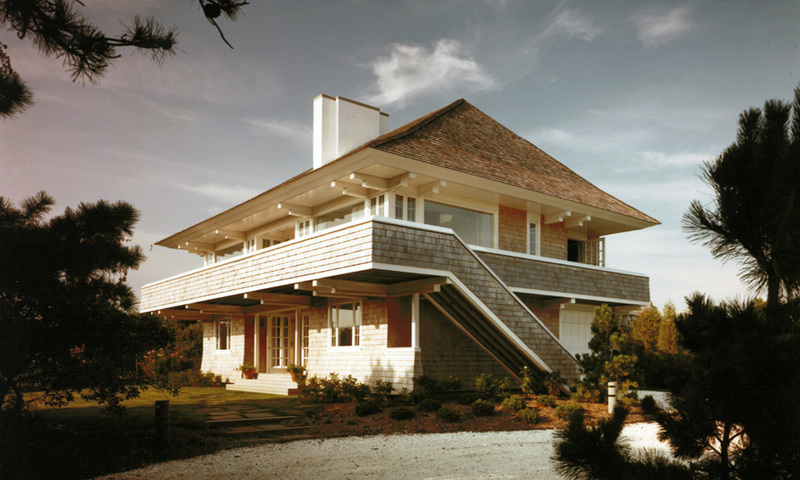 Left: Shingle style with shingles on all surfaces. Right: The edges expressed as contrasting corner boards. 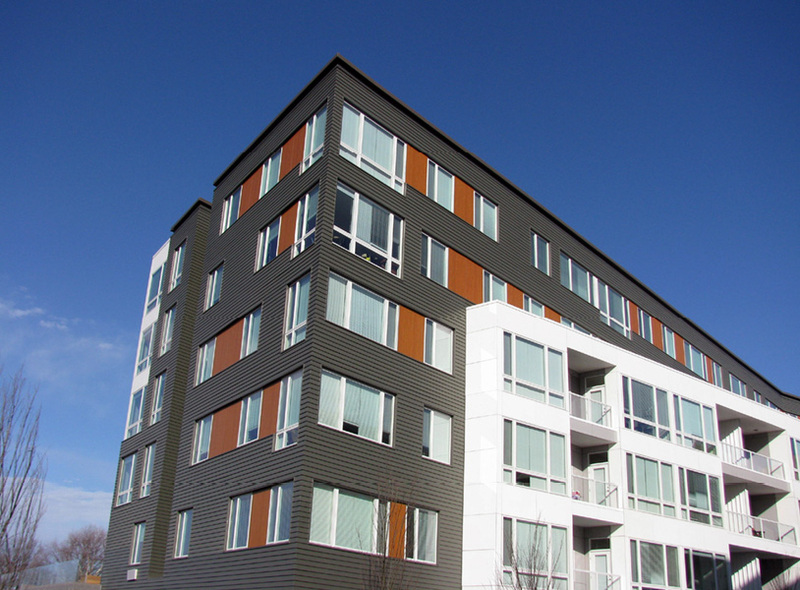 Hardie Artisan Fiber Cement siding now allows for mitered corners, giving the buildings a volumetric feel. This is related to the house of cards theme because materials reveal their thickness at their edges. If people assign more value to substantial volumetric things then how we detail the edges will control the impression of the materials we use and can affect its perceived value. 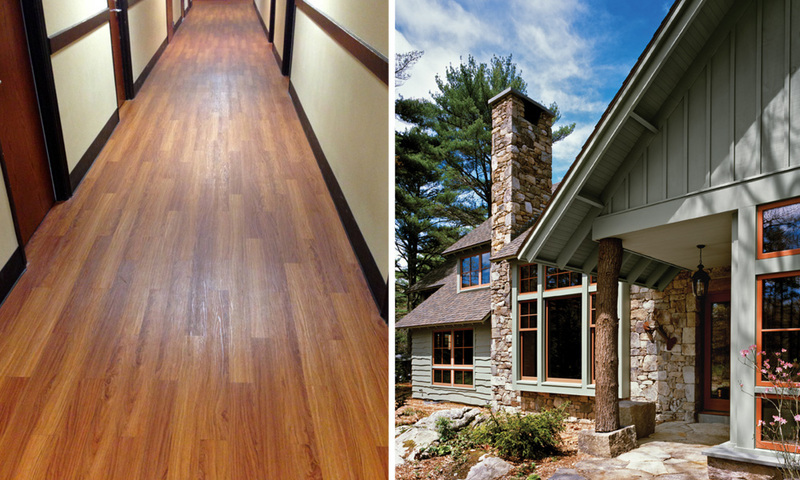 For example, at Westfield State University we used a cherry plank vinyl floor–inexpensive and durable. It is able to stand up to whatever college students can throw at it. Because it goes wall-to-wall on a continuous solid surface, it does not reveal its true identity except with scrutiny. We were told the students were ecstatic that they had hardwood floors! This notion also holds true for the roof edge–a detail too often misunderstood and incorrectly detailed and built. The roof can be understood either as a folded plane, in which case the eave and rake detail are edges of the same plane and should have the same detail and relationship to the wall, i.e. extending beyond it, or as a volumetric roof like a hip, which sits upon the volume of the building box. Most often the soffit expresses itself as a volume, but it can also be a folded plane set on the box like an umbrella with exposed rafter tails and a crisp edge. Left: Cherry vinyl plank flooring. Right: Roof as folded plane, the same detail on the eave and the rake. It is critically important to collaborate with the various partners on the team and understand the nuances of the local market, materials, traditions, and practices. In a high labor market like Boston, using a more expensive (and larger) masonry material like Arriscraft, that puts two square feet of wall up at a time, is good. But in the lower cost labor market of Baltimore, we were told to not even consider it because the masons will lay bricks all day long for $13/hour and will increase their rate for unusual products. In each case, we designed around this construction labor issue. Follow the link Reliable | Roofing, Siding, Windows Contractor | Stoughton, Ma. to avail the best services of roofing and house remodelling and give your home a makeover. Arriscraft wall that looks like stone and is less expensive installed than brick in high cost labor markets. As people interact with buildings they associate quality with the experience of their direct physical contact. These elements more easily convey quality to the user than the weight of the roof shingles or the brand of kitchen cabinets. Carefully consider the cost of hidden elements and site costs. Put those savings in visible places and at key touch points. Inexpensive cabinets detailed well appear to be custom-made. As residential units get smaller, it is more important than ever to control visual chaos to increase the sense of space. In kitchens, it is important to right-size the appliances; a 400 square foot studio does not need a 20 cubic foot refrigerator. If you coordinate the colors of cabinets and appliances, the space is visually calmer and has more of a built-in look. Side by side appliances should be avoided. In small kitchens, we have had good success using white appliances which are less expensive than stainless steel and spending a couple of hundred more dollars for an under counter oven and a separate cook top. This allows the front edge of the counter to run continuous across the length of the kitchen, eliminating both the visual interruption of a slide-in range and its high back control panel. With white cabinets and appliances, this results in a higher end look for very little extra cost. Take a look at Kitchen remodeling Birmingham, AL if you want a professional to remodel your kitchen. Left: Bosch’s new line of right-sized appliances. Right: Do not put appliances side by side and avoid high contrasting colors. Left: Typical slide in range interupts the flow of the counter. Right: Under-counter oven with continuous counter makes kitchen appear larger and more harmonious. White appliance and white cabinets give built-in look for small dollars. Note how dishwasher blends into cabinet run. 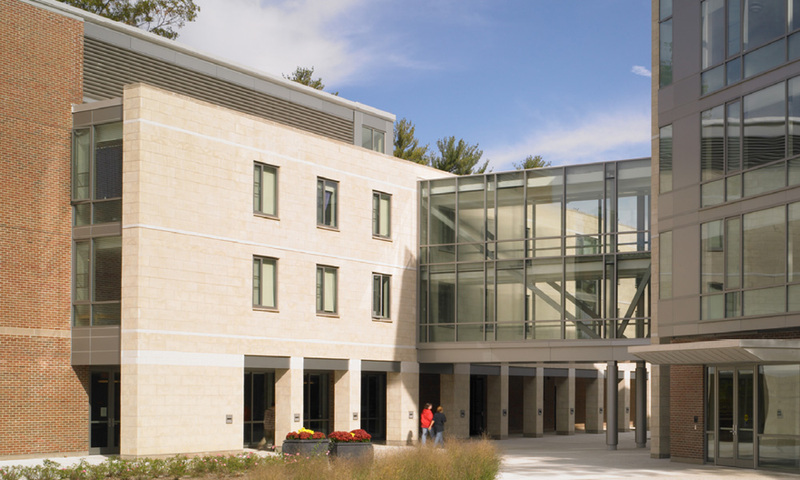 Our office has spent 50 years learning from and evolving the vernacular architecture of New England. We have learned many lessons, some about managing budgets and others about the changing materials we work with in the wood frame world, especially that sheltering roofs that keep the walls dry contribute to the longevity and reduced maintenance cycle of the buildings. 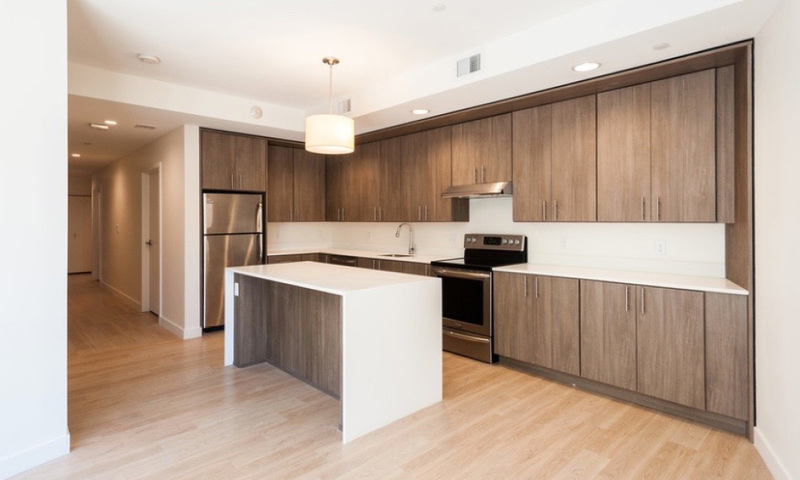 The flush detailing that modern architecture requires has been difficult to effectively achieve in the workaday world of multifamily construction. We have chosen to recall traditional elements but not literally reproduce them, while trying to stay rooted in modern forms and composition. We have also found this approach retains many timeless qualities that our buildings farther out on the modernism edge do not enjoy. Eight years separate these two projects but one has held up better, is liked by more people and is more timeless (both are over 30 years old), but it did not make the cover of Architectural Record. A bottom line budget is the type that builds the cost up from the least expensive version of everything – the least expensive windows, roofing, mechanical systems, etc. This results in the design being the arrangement of a set of products and systems, essentially the cheapest box you can build. While that may be a goal for some, it does not allow for value creation–exploiting the gap between the perception of cost and the real cost. Instead, the architect should be held to the overall budget, but not with specific pricing or products for each component. Our most successful projects are the result of emphasizing certain qualities while down-playing others, thus giving the projects something unique to differentiate themselves in the market place. Loft 23 achieved this with its “new” loft styling and our Fuse residential project exploits its position on the Alewife Reservation with a see-through lobby(Top Photo) and wall-to-wall windows in the unit living rooms. One project traded interior finishes for additional height and the other spent money on glass and kept the exterior materials simple. Left: Loft interior with 12 foot ceilings. Right: Wall-to-wall living room windows capture the view. After learning, understanding, and experimenting with these techniques, your housing projects will get better, and they will rent or sell quicker–for more money. The better you understand the consumer perceptions and those in the marketplace, the better you will be able to design a differentiated product and create desirable qualities that create multi-family housing that rises above the commodity nature of many developments. Share your perceptions in comments.